“Generation NEXT” Program coming soon…. More than 10 million acres of Virginia’s woodlands belong to nearly 374,000 family forest owners. And, 51% of these owners are ages 65 years or older. Some have owned their land for generations; others, only a few years. As they look ahead, many landowners want to keep their land in the family but don’t know where to begin or how to engage the next generation of owners. The upcoming “Family Forest Landowner” workshop series introduces concerned landowners to the options available to transfer their land and legacy to the next generation. 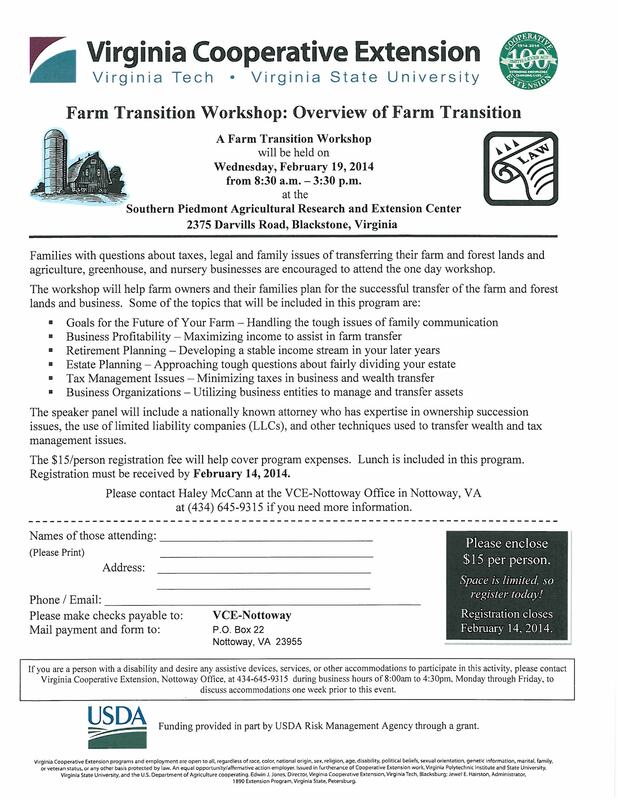 “Focusing on Forestland Transfer to Generation ‘NEXT’” is being offered July 29 and August 5 at the Moton Museum in Farmville. This two-day program will help family forest landowners successfully plan the transfer of their woodlands, intact, from one generation to the next. Current and future owners of family woodlands will learn family communication basics, estate planning tools and succession planning strategies to help ensure their family woodland legacy. Speakers include legal and financial experts experienced in estate planning, forest landowners who have worked through succession planning, and natural resource professionals who work with landowners to conserve and manage land. For more information, please go to http://tinyurl.com/vagennext or contact the Central District Forestry & Natural Resources Extension Program at 434.476.2147 or the VDOF at 434.220.9182.